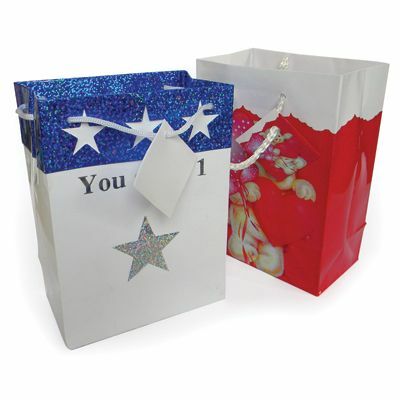 Christmas Gift Bags & Tissue Floor Shipper 162 Ct.
144 Pack of Holiday 6 Asst. Large 10.25" x 12.75" x 5"
144 Pack of Holiday 6 Asst. Jumbo 13" x 18" x 4"
72 Pack of Holiday 6 Asst. X-Jumbo 16" x 19.25" x 7.5"